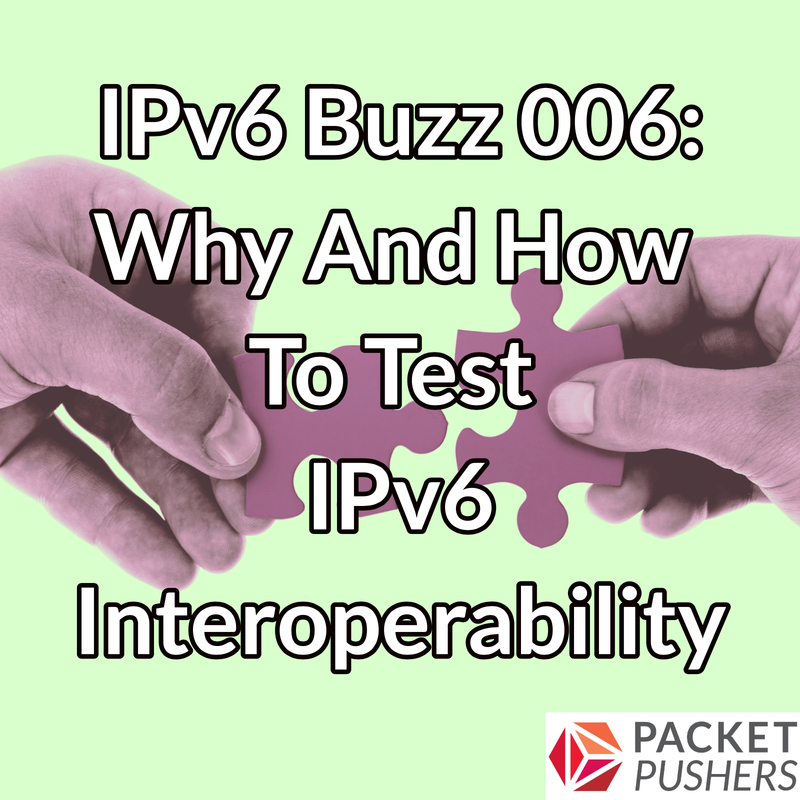 Today’s episode of IPv6 Buzz looks at why and how to test IPv6 interoperability. Today’s episode of IPv6 Buzz looks at interoperability testing of IPv6. Our guest is Tim Winters, the longtime director of the University of New Hampshire’s InterOperability Lab. We discuss why testing v6 is crucial, and look at interoperability initiatives including the USGv6 program, a NIST effort to spur v6 adoption. What gets tested and why? This entry was posted on Thursday, August 9th, 2018 at 6:10 pm	and is filed under Podcasts. You can follow any responses to this entry through the RSS 2.0 feed. Both comments and pings are currently closed.